Do you know WHO your 9 member Angel Dream Team, Heavenly Advisors are? 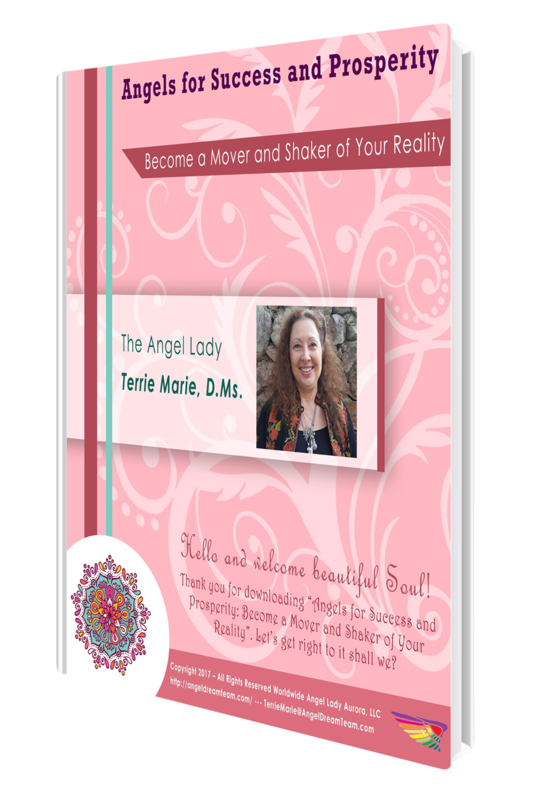 Do you want to know who your Angel Dream Team, Heavenly Advisors are, how to connect, activate AND how to call a meeting and work with them? Click here to request your Complimentary Angel Dream Team Breakthrough Strategy Session there’s still a little time but this ends in just a few hours! My calendar is nearly filled with so many requests but this is ending and it won’t be offered again until June or July 2015. Just so you know when we — my Angels and I — accept individual clients, my “hourly rate” comes to $650 per hour. And these Breakthrough Sessions are normally $497 – but, I’m waving this fee for a short time. These complimentary sessions always go very quickly, click here now, so you don’t miss out, or give me a quick call at 915-203-2531 to schedule your session today. In an earlier email I shared with you that affirmations can back-fire on you in ways that will make your head spin counter-clockwise! Sometimes I ever catch myself thinking or focusing on the exact opposite outcome I want. As soon as I’m aware of this, I stop using that affirmation. Here’s something else I want to share with you — most people are — unfortunately — focusing on the wrong end of their dreams. It’s the same thing as focusing on the wrong end of prosperity. Ego-chitter chatter keeps showing the current reality of things not yet manifested. This is very dangerous territory, mentally and emotionally. The more we focus on what’s not happening, the more fear and doubt attract lack and delay. Archangel Uriel will help you manifest your dreams and goals by re-connecting with your inner-most desires. Here’s what I’m NOT saying — pretend or deny what’s showing up for you. Instead, acknowledge where you are, accept responsibility and re-focus your thoughts, feelings and your energy will be at a higher vibration, attracting more of what you want and less of what you don’t want. It’s as easy or as complicated as you choose to make it … pure and simple. Ask Archangel Uriel to help you be aware of and recognize the guidance he gives you. Would it be helpful to you to be able to connect with your very own Angel Dream Team click here to get your complimentary — no cost to you — Angel Dream Team, Heavenly Advisor Breakthrough Session? My calendar is filling. Time is coming to a close so if you wait much longer … you just may lose out. … compassion is one of the most loving things you can do for yourself and for the people in your life. There’s so much happening all around us. Most of what we hear about on the news is negative. The truth is <firstname> there’s a lot of positive things that people are doing for each other we rarely hear about. One of the first steps to being truly compassionate is to speak kindly to yourself. Watch what you say and how you say it, especially when no one else is looking or around. The best Angel to call on to help you is, Archangel Gabriel whose specialty is communication and speaking your truth with loving kindness. If one of your challenges is finding your “voice” this very special Archangel is ready to hel you clear your Throat Chakra with authenticity and thoughtfulness. Would it be helpful to you to be able to connect with your very own Angel Dream Team click here to get your complimentary — no cost to you — Angel Dream Team, Heavenly Advisor Breakthrough Session before all the spots are gone. … your goals, creams and desires, fulfilling your Life-Purpose and living in prosperity and abundance? Archangel Metatron is all about helping you be in total and complete alignment mentally, emotionally, energetically and Spiritually. If there is doubt about what you can truly accomplish, it blocks you. Fear is caused by doubt and doubt intensifies fear and round and round it goes. Ask Archangel Metatron to help you cleanse and balance your Chakra energy centers, removing blockages and dissolving negative energy. If you want to discover how to connect with your very own Angel Dream Team click here to get your complimentary — no cost to you — Angel Dream Team, Heavenly Advisor Breakthrough Session before all the spots are gone. It’s one thing to have a dream. It’s quite another to be so committed that no matter what the Universe or your Ego-Chitter chatter throws at you, you simply stay your course. Speaking from experience, there have been many obstacles to overcome and moe through, I’ve lost count! Some of those obstacles were not believing in myself, wondering what others would think or say about me. Then there are things like technology and being confident enough to be comfortable in my own skin even when I felt terrified inside. A very powerful Angel to have by your side is Nathaniel, whose specialty is purification and courage. It takes courage to put yourself out there day after day, week after week month after month and … well, you get the idea. Could Nathaniel be one of the nine Angels and Archangels on your Angel Dream Team of Heavenly Advisors? Click here to get your complimentary — no cost to you — Angel Dream Team, Heavenly Advisor Breakthrough Session today before all 10 spots are filled. Let’s get right to it. If you’re not sure what your Life-Purpose is or if you’re on the right path, then you’re probably not clear about what your unique brilliance is or how to share it in a way that enables you to fulfill your purpose and make a difference the way you dream of doing. If you do know what your unique brilliance is but are worried about what your family or friends will think or say about you, then you’d really benefit by connecting with Archangel Chamuel. This amazing Angel will help you accept that you are a priceless jewel and that your life experiences are what make you who you are today … whole and complete just the way you are right now. Ask Archangel Chamuel to feel, really feel and accept that you are loved beyond measure, valued, treasured and priceless. What do these Angels and Archangels — Archangel Raziel, Archangel Sariel, Angel Sealtiel and Archangel Chamuel — have in common? These Angels and others want to help you achieve your goals and manifest your dreams in the shortest amount of time possible. If you’re serious and want to discover how to connect with your very own Angel Dream Team click here to get your complimentary — no cost to you — Angel Dream Team, Heavenly Advisor Breakthrough Session with me. These complimentary sessions always go really quick, click here now, so you don’t miss out, or give me a quick call at 915-203-2531 to schedule your session today. … Is your belief in yourself real or just lip service to help you feel better about yourself and what’s happening or not happening in your life? Here’s what I mean — there is this one friend Bobby (not his real name) who has been saying he’s going to start giving readings on a professional level. Bobby is good. In fact, it was Bobby who gave me a reading in 2001 when I was trying to figure out what my purpose was and what direction or path was the best for me. He helped me get re-connect and re-discover my intuitive gifts and start accepting what it is I came here to do. Anyway, I see Bobby every few months and he always asks the same questions about getting a spot at the El Paso Psychic Fair as a reader. Here’s the sad part of this story … he’s never, ever going to do it — take that Leap of Faith — he doesn’t have really believe in himself. Angel Sealtiel will help you believe in yourself enough to start that first step whether you’re just getting started, starting over or want to get to that next level in your life and work. Ask Angel Sealtiel to help you become aware of your thoughts, emotions and your actions. As you become more and more consciously aware of what you say to yourself and to others, you can begin to shift disbelief and a lack of self-confidence into belief and feeling more empowered. If you want others to believe in you, first believe in yourself. Would it be helpful for you to know who the Angels are that can guide you every step of the way? Watch your in-box tomorrow for all the juicy details. Why do you want you want? … help others and make a difference? … earn double or triple what you’re making now? One of the secrets behind having what you want sooner rather than later is … knowing the reason or reasons behind your dreams. It’s not enough to want your dreams to manifest. If just isn’t! This is where Archangel Sariel can help you. Ask her to help you discover the real, bottom line reasons why it’s important you manifest your dreams. Okay now it’s your turn. Ask Archangel Sariel to help you get to the real reason behind your dreams. The clarity you receive may just surprise you! We’ve all heard about the Law of Attraction and how what we think and feel is exactly what we attract to us. Want to know a secret I’ve just uncovered? This just might push a few buttons but it wouldn’t be right to keep this to myself any longer! … Repeating or writing out affirmations and thinking positive thoughts is just the beginning. … If you don’t completely believe what you’re saying … affirmations back-fire and create the exact opposite of what you want. One of the best ways to really melt away the fear of failure is to ask Archangel Raziel to help you heal and release any sub-conscious beliefs that are holding your prosperity and abundance hostage. As Archangel Raziel to help you recognize what’s really holding you back, preventing you from truly moving forward towards your dreams instead of pushing them farther and farther away from you. After you’ve asked, be consciously aware of what comes up for you. Do yourself a favor and be open to the thoughts and memories that float to the surface in your mind. What you think is blocking you is just on the surface — it isn’t what you think it is. Write down what’s being given to you. Allow your human-self — Ego-chitter chatter — time to process. Then begin the healing process which melts away the fear of failure. If you do this — really take the time to do this — you will begin to peel away layers of fear and doubt, freeing you to create space for your dreams to manifest in magical ways. Create Your Ultimate Angel Dream Team in a Weekend! All sessions are being recorded. You will be able to download all the recordings so you can listen to them as many times as you want. It will be like we are working together, step-by-step! 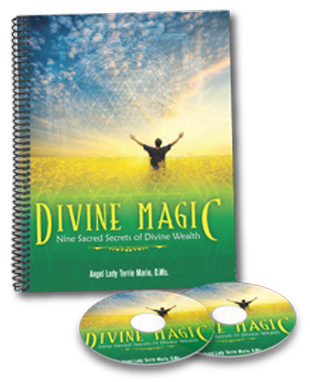 It’s also about meeting, connecting and activating your personal Ultimate Angel Dream Team, how to work with your 9 Angels and Archangels, how these Angels will help you with your dreams, manifest more money and opportunities and how to work with each one of these Angels. This is a LIVE Group Program that includes a LIVE BONUS Q&A Call two weeks after the Live Virtual Weekend Retreat. Everyone who signs up also gets a one-on-one private 30-minute mentoring session with me.